Kotobukiya’s Facebook Page has posted a few photos of their next Star Wars item. 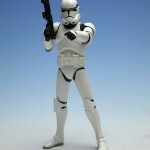 These new photos give us a look at their upcoming ArtFX Clone Trooper 2-Pack. “A Kotobukiya Japanese import! Star Wars ARTFX+ Statues bring you all of the quality and detailing that you expect from an ARTFX release in a great smaller scale perfect for collecting! The new Saga Collection has exploded with such greats as Boba Fett, Darth Vader, and the mighty Imperial Storm Troopers in an easy to collect 2 Pack. Joining those villains and army builders are the members of the Grand Army of the Republic in an all new set, the Clone Trooper 2 Pack! Cloned on Kamino in secret and ready to bring the fight to the Separatists on behalf of the Republic, the Clone Troopers are quite a sight! Wearing identical armor reminiscent of their decedents, the Storm Troopers, the Clones fight with honor and precision under their Jedi generals. 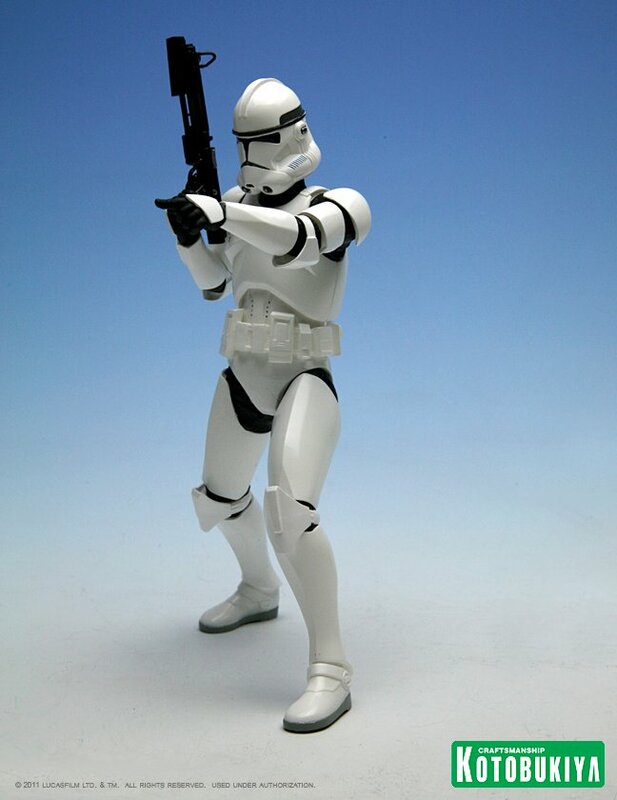 Like their Imperial counterparts, Clone Troopers are most effective when fighting together. 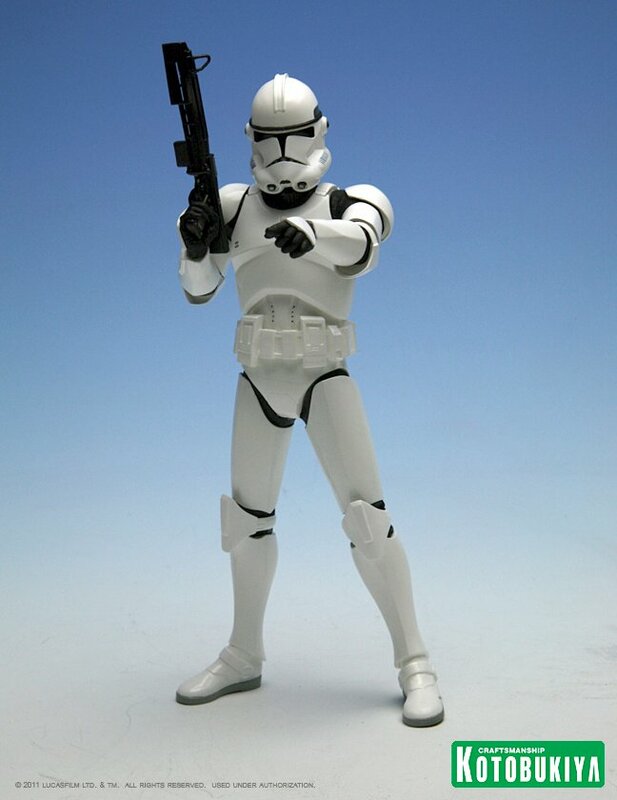 Joining the ARTFX+ line, these two Clone Troopers are perfect miniature versions of the onscreen characters (themselves wholly computer generated), with fully detailed armor and weapons. 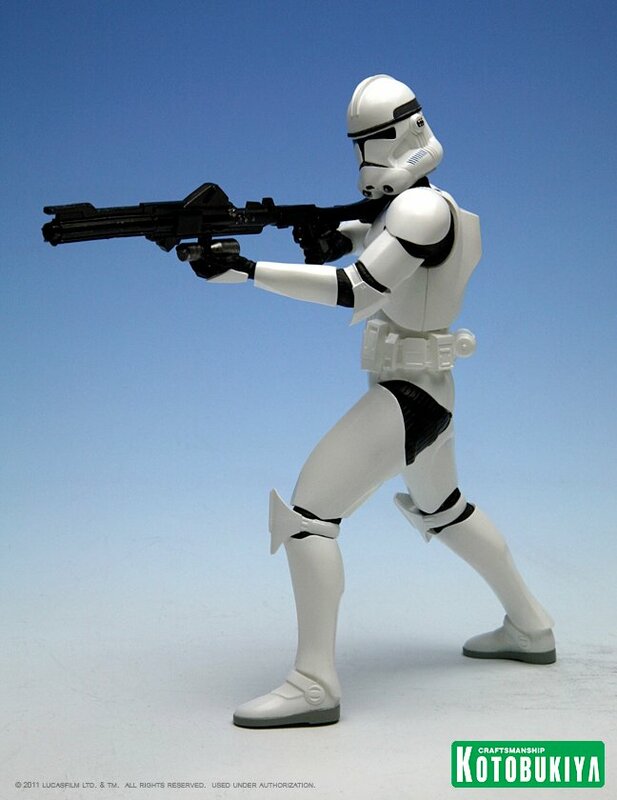 Both included Clone Troopers come with multiple arm and leg parts giving you a variety of poses to choose from, and they’re ready for battle with both DC-15S blaster carbines and DC-15A blaster rifles! Finally, like the other ARTFX+ Star Wars figures the Clone Troopers have magnets in their feet for display on included bases. ARTFX+ Statues are fun-to-assemble pre-painted snap-fit kits that can be easily put together in seconds without glue or modeling skill. 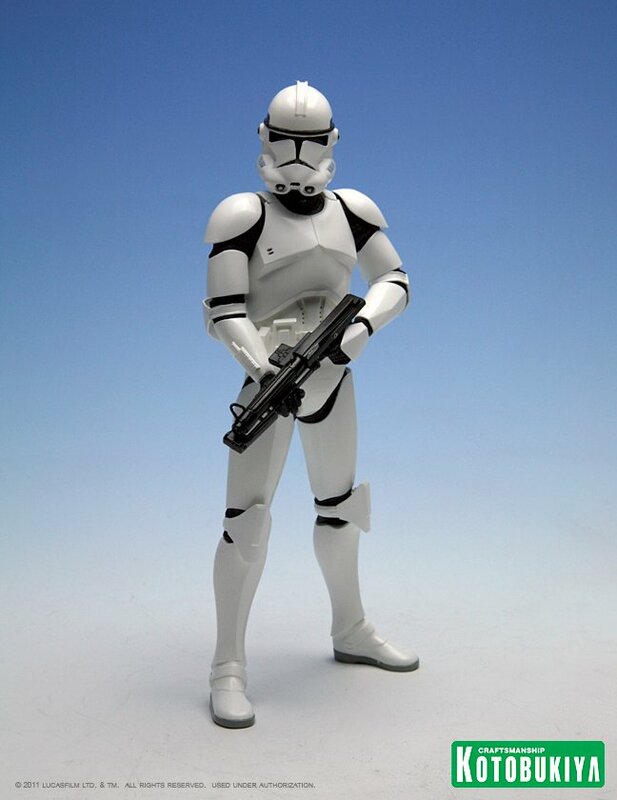 The Clone Troopers stand just over 7 inches tall (1/10th scale) and come ready for battle! More photos can be seen by clicking the headline of the story. Discuss on the Toyark Forums› Views: 4891 › Credit: of the Toyark Forums!